He Served In The Air Force From September 2007-may 2011 And Has Currently Graduated His Bachelor Degree In Recording Arts On October 31, 2014, And Is Now Pursuing His Master’s Degree In Entertainment Business At Full Sail University. Links was born in Frankfurt, Germany. His childhood, however, was spent in many cities in America such as Austin, TX, San Diego, CA, Macon, GA and other various counties in Kentucky before the age of 13. He was a foster child in his early years. He grew up learning to adapt to different downs and finding new friends everywhere he went. It wasn’t until the age of 7 when he finally met his actual birth mother and age 16 until he met his father. It was at the age of 11 when Links became enveloped in music but it wasn’t until the age of 16 when he truly began the actual recording process. His genre’ of choice was Rap, R & B and Hip Hop. He served in the Air Force from September 2007-May 2011 and has currently graduated his Bachelor Degree in Recording Arts on October 31, 2014, and is now pursuing his Master’s Degree in Entertainment Business at Full Sail University. In 2009, Links released his first demo called “The Movement in the Making”. Now after years of hard work and perseverance, Links is marked to release a mixtape/album titled “The Struggle”. The single “Green”, which has already been released, leads the way encouraging all those who are out there working hard to trying to make their dreams come true. It relates to fame, fortune, the dreams and the journeys you will take to get there. This song is a taste of what’s to come. His fans are eagerly anticipating the release. 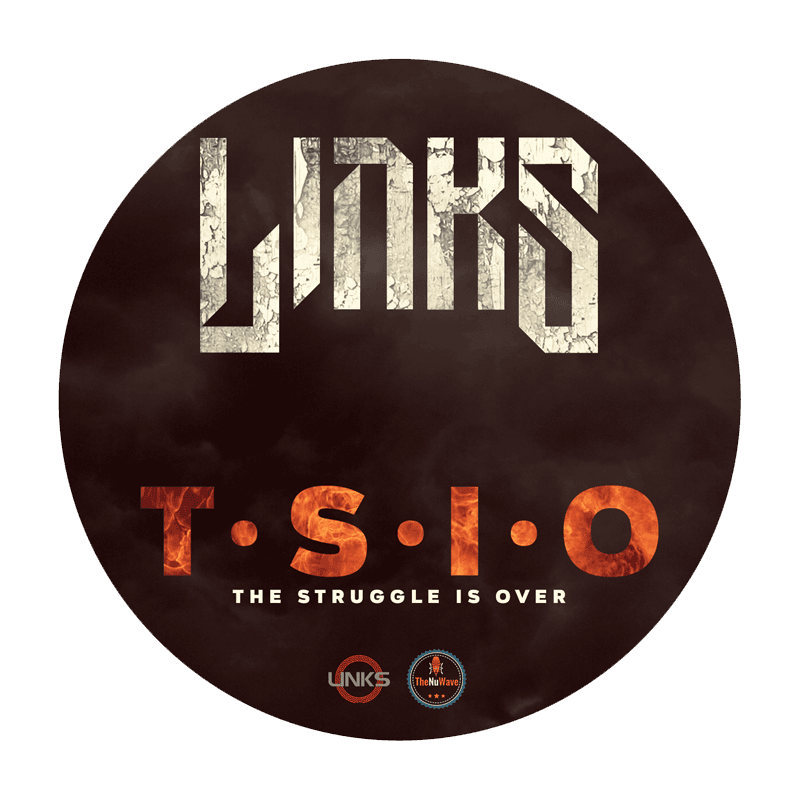 Links released his debut album/mix tape “The Struggle” on February 24, 2015. “Green” is a great song with a real upbeat rhythm, has great vocals that play off of each other. The use of the electronics is out-of-the-box – GREEN. The lyrics are great, the arrangement is hot and it just teases you, pleases you to the point of just begging for more – and he doesn’t disappoint. Like the entire mix tape, this song has a smooth flow to it, very catchy lines. Your body just moves on its own – very well done, very hot, relatable, sustainable and it’s a ‘must buy’ in my book. Links’ fans were right. Links has been through it all and has seen it all. It’s now his time to morph into the great music artist that he knows he is. He’s blessed with a gift and he will leave his mark, as all the greats, do. Links performed at the artist showcase Miami Industry Mixer at Club EVE on July 21, 2011, Club Back Booth, Orlando, FL on March 4, 2014, Club Mix, Orlando, FL in 2014, Club 57 West in 2011, June 30, 2014 in Downtown Orlando, Florida @ Club Backbooth, The Diamond Awards at the Skyline Sports Center on March 11, 2015 in Jacksonville, FL, and he also performed at The Show –Formerly the Venue in Miami, FL 2014. He was also rated #1 on www.gigacrate.com for an entire week with two songs holding the top one and two positions over any mainstream artist. He also received video of the week on www.shaystar.com. His last show was on March 26, 2015 which he performed at The Stage Venue in Miami, FL. “I have the confidence of a model, the heart of a lion, the head of a mascot and the Fans are what keep me going. So keep bringing the love and support! Links is the result of hard work and the mainstream is in need of an artist like himself”.